Contact Us for An Array of Services – Copier and Printer Supplies, Maintenance, Network Services and Much More! Innovating the workplace with the best solutions! We are a copier and printer company with over 20 years experience in Copier and IT networking services. We provide an array of services – IT Support, PC repair, network services and much more! 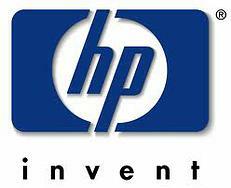 Check out our inventory of Xerox, Ricoh, Sharp and HP Printers, Copiers, Toners and much more! RICOH Color Function Printers offer scanning, fax and copier options as well as advanced finishing capabilities for small offices to centralized production printing environments. Xerox offers solutions for digital color printing equipment, office, production printers and more. These color laser multi-function printers and color solid ink multi-function printers handle up to legal size paper. Whether you need to print confidential documents at high volumes or you need an energy efficient printer with wireless capabilities, HP printers serve great purposes and offers efficiency to a variety businesses.